Our nominated person for data protection is Matt Hackett and their contact details are as above. We collect personal data as defined by applicable data protection legislation. The personal information we collect might include name, date of birth, email address, postal address, and telephone number. 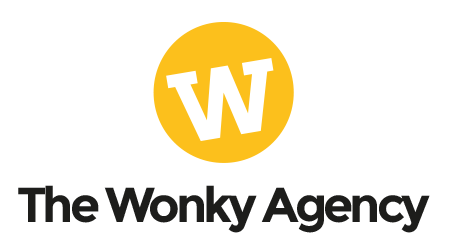 If you are an employee or provide services to The Wonky Agency Ltd, we will collect information in line with your contract of employment or contract for services. If you have purchased goods or services from us, we will collect information about your purchase history. We record your requests for information and any communication we receive from you and record emails for quality assurance purposes. [We may record emails for quality assurance purposes. We obtain personal information from you when you use our website, enquire about our activities, complete a client contact form, register with us, send or receive an email, ask a question or otherwise provide us with personal information during our work together. We may also receive information about you from third parties, for example from data providers or from individuals or third-party organisations who share our interests and may introduce you to us. processing is necessary for our legitimate interest in promoting our business and services, except where your rights as a data subject override our legitimate interest. How do we use this information? We will only use your personal information for electronic marketing purposes if we are allowed to do this by law or if we have your consent. If you agree to us providing you with marketing information, you can always opt out at a later date. If you would rather not receive marketing material from us, please let us know at any time using the contact details at Contact Us. our trusted affiliates, as detailed below. If you have any questions about how long we keep your information, please write to use at The Wonky Agency Ltd, 69 Field Way, Chalfont St Peter, Buckinghamshire, SL9 9SQ. You have a right to access the information we process about you. This includes being provided with a copy of the information we hold about you, the purposes for which we use it and with whom it has been shared (‘right of access’). In order that we can ensure that your personal information is accurate and up to date, if any of the information that you have provided us with changes, for example if you change your email address, name, payment details, or if you wish to cancel your account with us, please let us know using the contact details at the end of this policy. You have a right to obtain your personal data from us and reuse it for your own purposes, perhaps for another service, without hindering the usability of the data (‘right of portability’). This right does not apply where our legal basis for processing is to perform a task carried out in the public interest or to exercise official authority. You have a right to seek the erasure of your data (often referred to as the ‘right to be forgotten’). You may wish to exercise this right for any reason, for example where it is no longer necessary for us to continue holding or processing your personal data you may withdraw your consent. This right is not absolute, as we may need to continue processing this information, for example, to comply with our legal obligations, or for reasons of public interest. In certain circumstances, for example if you contest the accuracy of the information or the lawfulness of our processing, you may ask us to restrict our processing of your information (‘right to restriction’). If you exercise your right to restrict processing, we would still need to process your information to the extent permitted by law, including for the purpose of exercising or defending legal claims, protecting the rights of another person or for public interest reasons. If our lawful basis for processing is your consent, you have the right to withdraw your consent at any time. You have the right to object to our processing in accordance with our legitimate interests, in which case we may only continue to use your personal data where we can demonstrate compelling legitimate grounds which override your interests, rights and freedoms. If you would like to exercise any of your rights above, please contact us at info@thewonkyagency.com. We will act in accordance with your instructions as soon as reasonably possible and there will be no charge.